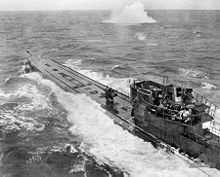 The U-boats were used to hunt in wolf packs, and the Germans fought a tonnage war. Britain was forced to bring in all kinds of things about rationing. Convoys were used to get ships safely across the Atlantic, and were protected by destroyers. The mid-atlantic gap was closed because the range of bombers increased, it was a carrier based aircraft and there were more warships. View Battle of the Atlantic and over 3,000,000 other topics on Qwiki.